Wished the selections ran effortlessly on their own while phone is locked. The selections you have to choose are stunningly beautiful. You see more ads than you do wallpapers. That being said this does a better variety and visual looking wallpapers for free compared to similar apps. Every two swipes is a 5 second ad. These are not dynamic wallpapers. They are hideous wallpapers. 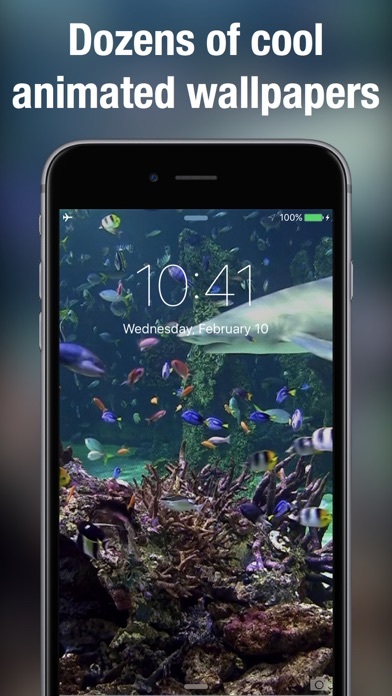 Every three screen savers preview there is an annoying 5 second add. I downloaded and deleted this app in less than 5 minutes literally. The ads were THAT annoying! Every 3rd wallpaper you look at brings up an add you have to interact with to proceed. There's no list or anything to skip over wallpapers you wouldn't like. You must go through every wallpaper and every add. Ridiculous! 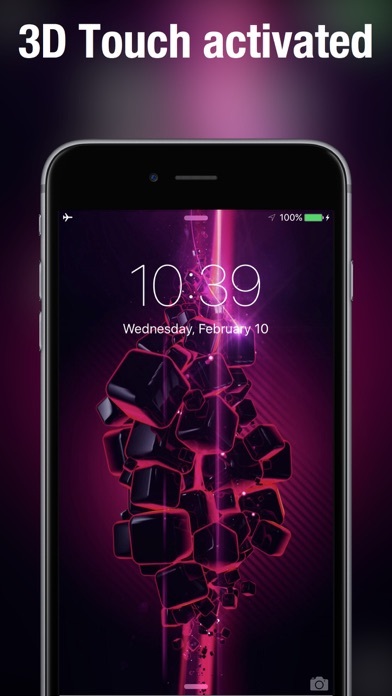 Beautiful wallpapers but every 3 there is an ad! 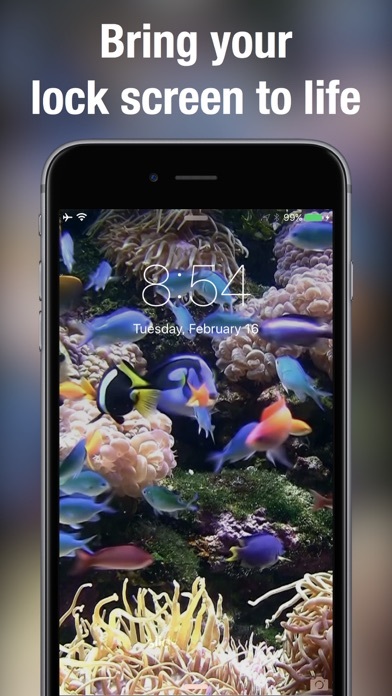 You cannot filter them either so there is no way to filter out “space” or “aquatic” to narrow down the wallpapers. This would be nice as the view time would be much more productive, instead of liking 1 out of 20 you could narrow it to 1 out of 3 or so. Not only do the live photos look bad, but this app is a waste. You can’t look at a gallery, you have to view them one at a time and swipe through. Oh, and every 3rd swipe is an add, which is extremely annoying. The drop down menu showed some options to purchase, but I wouldn’t waste my money on this based on quality alone. Too many ads makes it very annoying! Great picture quality and a variety to choose from however, way too many adds- very frustrating. Can only view 3 options them add pops up. First off, these are not Dynamic, they are live. Which means you must hold your finger on the home screen to make them move. Dynamic wallpapers move on their own. Secondly, the adds are aggressive—popping up about every 3rd image you view. This would be less obnoxious if you could search by category. The lack of options, aggressive ads, and poor naming has earned a 1 star. Great app easy to use and lots of options for free! Finally a live wallpaper app without subscriptions! Would not save any wallpapers and everything you touched on the screen a add would pop up not a good app sry! I opened the app and watch the video demo to make sure I knew how to do it. I went to where you save it as a wallpaper and there was supposed to be a “live” option but I got the options for normal wallpapers. First of all, as previously mentioned, there are the adverts. After you have looked at about three wallpapers, there is a five second ad. It’s obnoxious and annoying, and there’s no getting around it. My biggest issue is the outright lie this app is perpetuating. Or the people who created this app were just ignorant as to what the difference between LIVE wallpaper and DYNAMIC wallpaper. LIVE wallpaper are like LIVE photos. You have to force touch your phone to see the animation. And you can only see the animation on the lock screen. 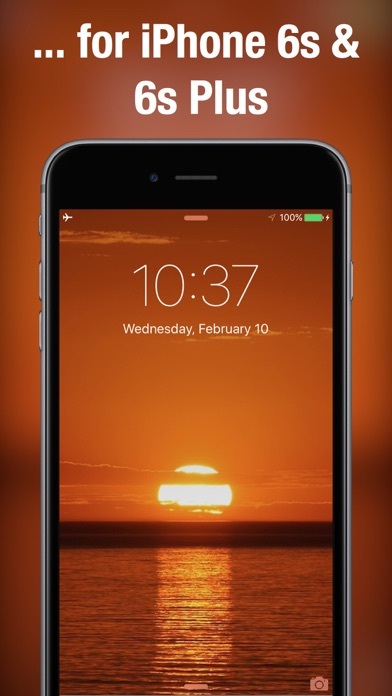 DYNAMIC wallpaper is wallpaper that is animated on the lock screen and the springboard behind your phone icons continuously. You don’t have to force rich DYNAMIC wallpaper. You simply set the wallpaper as your background and the animation runs continuously. I downloaded this app looking for DYNAMIC wallpaper, not LIVE wallpaper. The app clearly claims that this app contains DYNAMIC wallpaper, and it doesn’t. 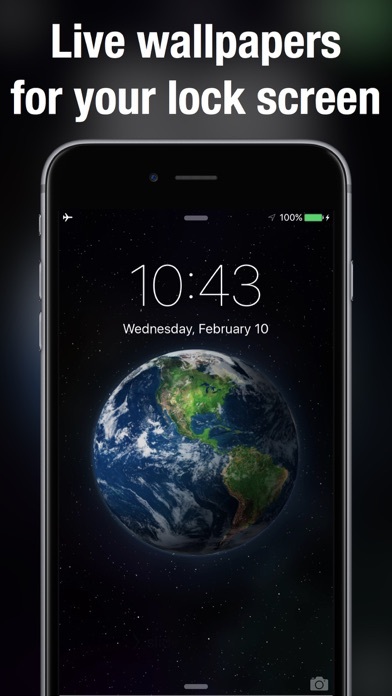 This app only contains LIVE wallpaper, made from LIVE photos, which require force touch on the lock screen to see the animation, and do NOT animate on the springboard background behind your icons. The creators of the this app are misleading people. Too many advertisements in the app. Can’t see the purpose of holding my finger on the screen to get it to move. I thought it would move on it’s own. Deleted the app. There is a difference between dynamic and live backgrounds on the iPhone. Live backgrounds require you to hold down on the screen to activate and are otherwise still. Dynamic backgrounds are constantly moving irregardless of wether you are holding the screen or not. I understand that they say a lot in their description that they use live wallpapers, but given the name I was hoping for at least some dynamic. Very misleading name. Very disappointing. Too many ads and they weren’t live wallpapers. The app description says it works with iPhone XR. Well, I went through all that pain staking, 5secs waiting just to close those annoying, aggravating , irritating, repetitious ads. that pops up on every third swipe, while you browse from the choices of wallpapers. Wasted all those times and just to find out that THIS @&*%# DOESN’T WORK AT ALL WITH XR. Thanks for nothing M.Fs !!!! These apps are really awful to use. I understand needing ads, but they do it on a whole other level. It’s like what’s the point of even using it. Still pictures. Must hold pictures to make it dynamic. Live wallpapers you have to touch to get them to move dynamic wallpapers move on their own. Misleading! Nope, deleted. Too many ads (5 second minimum, every 3rd wallpaper), no way to pay to turn them off. Not to mention the persistent banner ad across the bottom of the screen at all times. No thumbnail view. And frankly, the wallpapers themselves are not very impressive. For a better experience, try Wallpaper World here on the app store. A bit misleading title for this app. I like all of the wallpapers but the adds pop up every second. I don’t get a chance too look at the options. If the app didn’t have as many adds I’d rate it higher.